A delicious nut butter bar made with whole grain oats, semisweet chocolate chunks, cane sugar, coconut oil, dates, and a delicious drizzle made with almond butter. Ideal for the trail, these delicious bars are great for snacking at home, school, or at the office, and make a great post-workout bite whether you’re in- or outdoors. Snag a bar on your way out the door, keep a box stashed at your desk, or stock your pantry to share with family and friends. 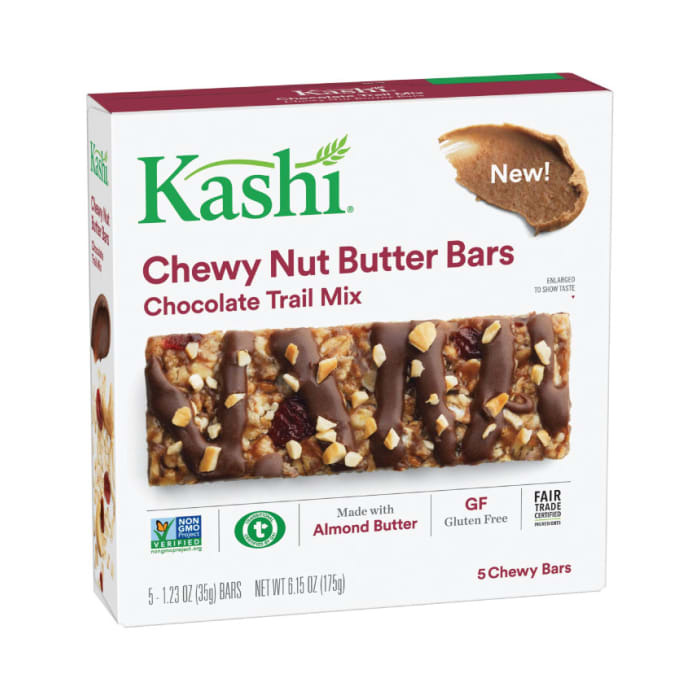 Sweet and salty, Kashi Double Chocolate Almond Butter Nut Butter Bars are gluten-free, Non-GMO Project Verified, and Certified Transitional by Quality Assurance International.